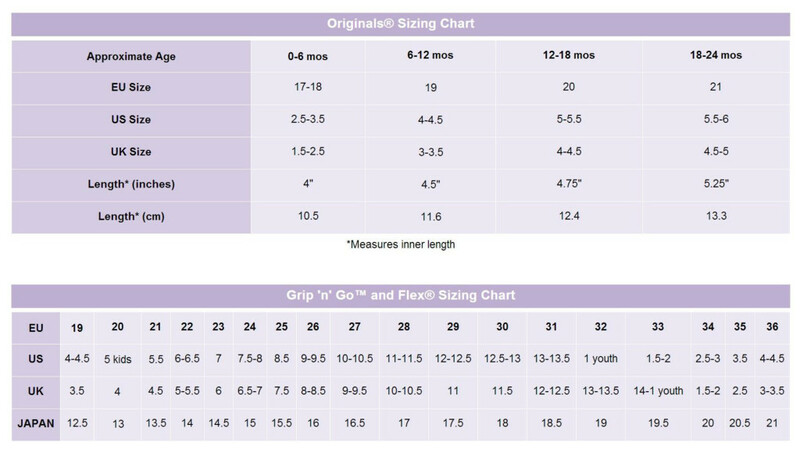 *Please click on image below to download a PDF copy of this chart. 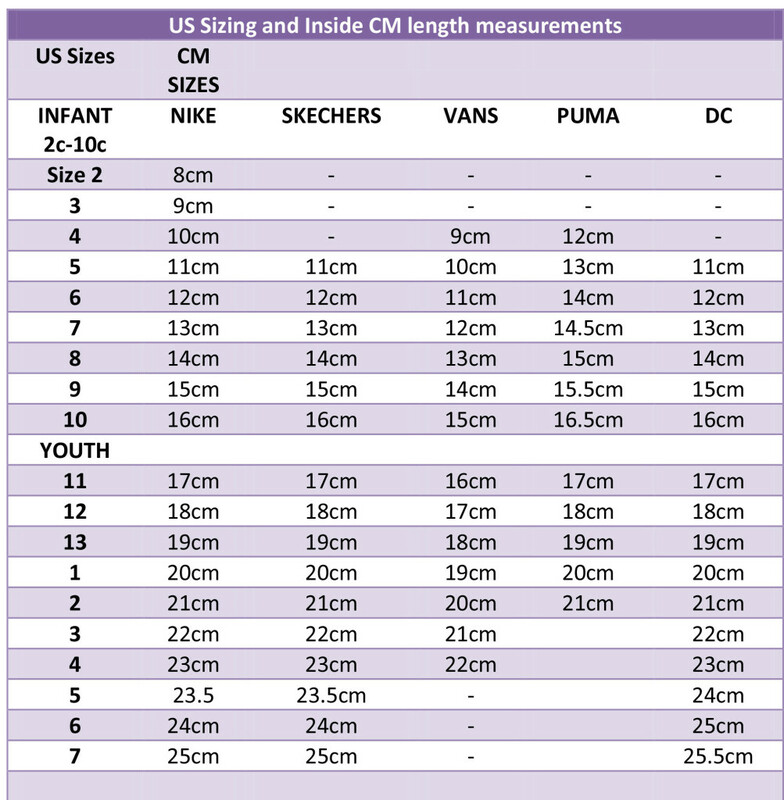 Allow 0.5 – 1cm extra when selecting shoe size, more if the child will wear socks with the shoes. Your child’s toes will thank you! If your child’s foot falls in between sizes, round up. The extra room won’t be there for long. Children’s feet grow quickly. Measure at least every 2 months during the first year, and every 3 months from 1–6 years old. You never can tell when your child will have a growth spurt! For the best fit, measure their feet at the end of the day – feet often swell during the day due to heat and activity.